Cinnamon Chip Snickerdoodles will rock your world! They’re rich, decadent and oh, so heavenly. These cookies have cinnamon chips in the batter then they’re rolled in cinnamon-sugar. Wonderful for tailgating or office parties, potlucks, backyard barbecues or grilling out with friends. 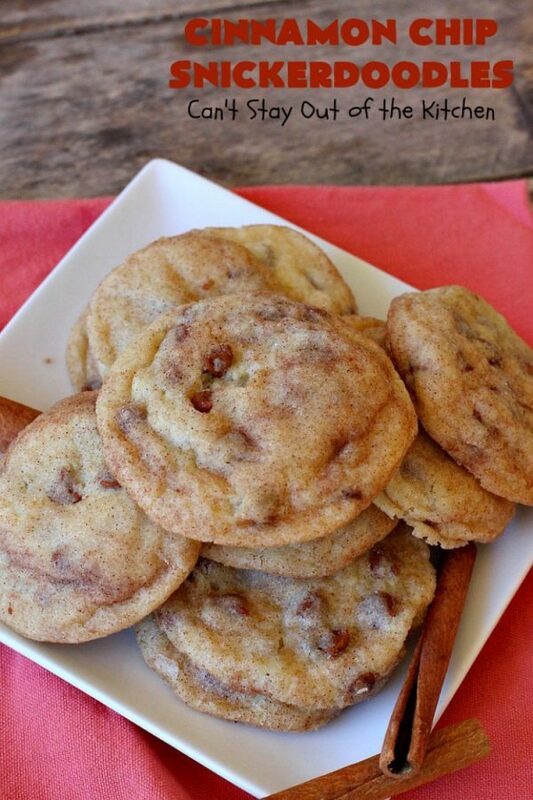 If you enjoy cinnamon, you’ll love these cookies! Creamy Sweet Corn is absolutely sensational. 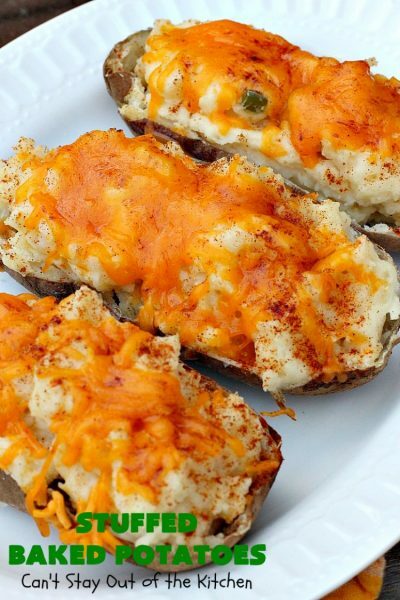 This quick and easy side dish can be ready in about 10 minutes. It’s perfect for company, holiday or family dinners. This recipe tastes a lot like Rudy’s BBQ Cream Corn. 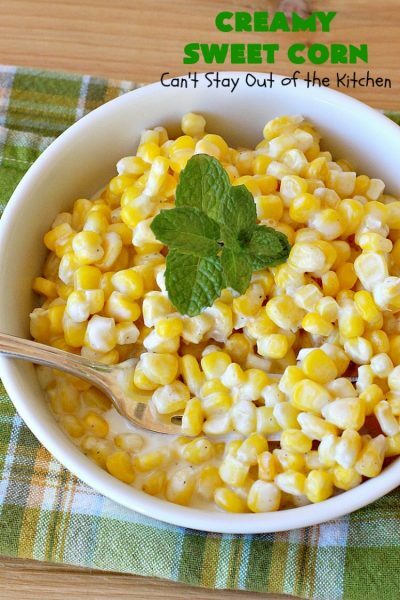 It is so delicious you’ll find this corn recipe becomes your favorite go-to side dish. Gluten free. 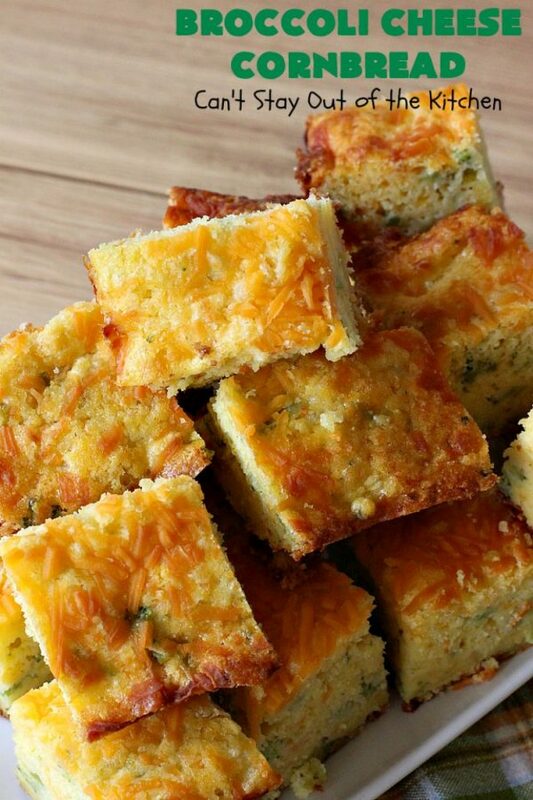 This tasty cornbread uses broccoli, onions, Jiffy corn muffin mix and two cheeses in the batter. It’s so quick and easy that it can be oven ready in 5 minutes. It’s the perfect side dish for company or holidays like Easter or Mother’s Day when you’re already making multiple dishes. This moist cornbread is also wonderful served with soup or chili. 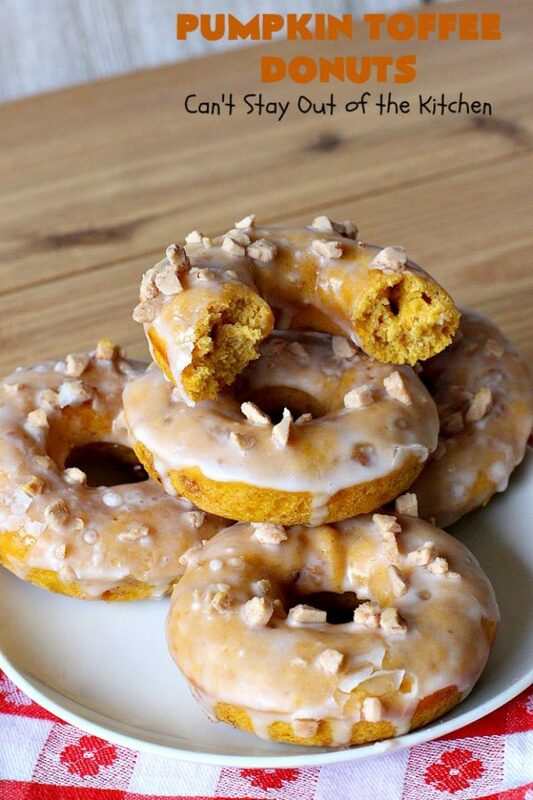 These luscious Pumpkin Toffee Donuts are absolutely mouthwatering. The donuts are filled with pumpkin, pumpkin pie spice and Heath English Toffee Bits. After glazing the donuts in vanilla icing, more Heath English Toffee Bits are sprinkled on top. This favorite comfort food recipe is terrific for company or holiday breakfasts like Mother’s Day or Father’s Day. Your family and guests will be begging you for more! This spectacular ice cream dessert tastes like eating Almond Joy Bars but in ice cream form! It’s filled with chocolate chip ice cream, coconut and almonds. Then the ice cream is poured into a chocolate crust. Garnish with chocolate sauce and maraschino cherries, if desired. This incredibly easy 4-ingredient recipe is perfect for Easter, Mother’s Day, Valentine’s Day or special occasions. 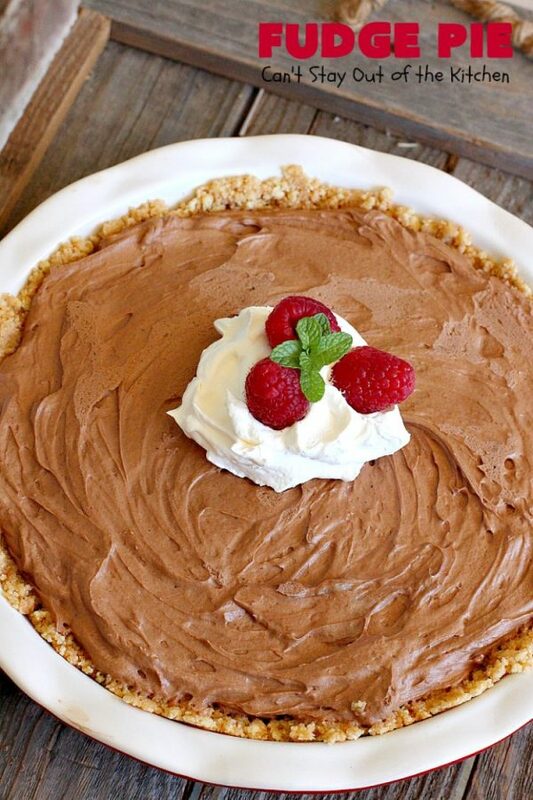 This delectable Fudge Pie is rich, decadent and, oh so heavenly. Each bite will have you swooning! The texture starts out like French Silk Pie and then becomes more fudge-like after refrigeration. It’s a marvelous dessert for company and holidays like Easter, Mother’s Day or special occasions and birthdays. 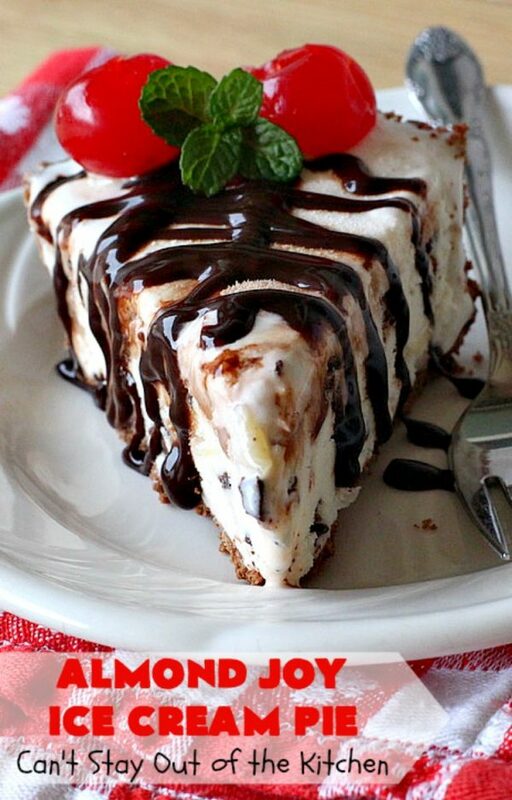 If you’re a chocolate lover, you won’t be able to get enough of this pie! Cheesy O’Brien Egg Scramble is absolutely fantastic! 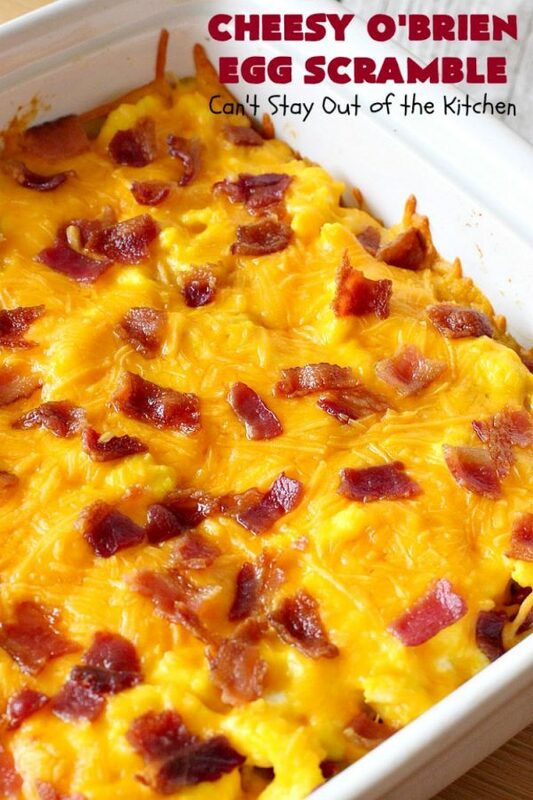 This layered breakfast casserole includes seasoned O’Brien potatoes, scrambled eggs, two kinds of cheese and loads of bacon. It’s terrific for a holiday or company breakfast like Easter or Mother’s Day. Everyone always comes back for seconds!